Experience the Wisdom of Ayurveda. 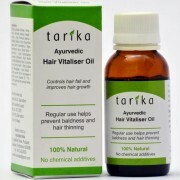 Tarika Ayurvedic Gum oil is a unique formulation of chosen medicinal herbs for treating all types of mouth and oral problems. Its special formula has been developed scientifically to give relief from toothaches, sensitive teeth, mouth ulcers, weak gum, bleeding gum and other gum and mouth diseases. Dentists are recommending Tarika Gum Oil for its excellent benefits. 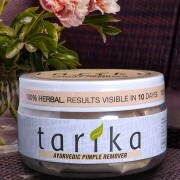 Tarika Ayurvedic Gum oil is a unique formulation of chosen medicinal herbs for treating all types of oral problems. Its use gives relief from toothaches, sensitive teeth, mouth ulcers, weak gum, bleeding gum, loose teeth and other problems of the oral cavity. Its special formula helps to keep the mouth, gum, teeth strong and healthy. 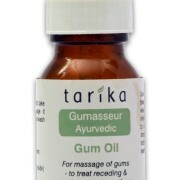 Dentists are recommending Tarika Gum Oil for its excellent benefits. Toothache: Wet cotton wool /small cloth piece with 5-6 drops of Tarika Gum oil and keep it pressed against affected tooth. Repeat this treatment 3-4 times or more with 30 minutes gap until relief. Sensitive teeth, mouth ulcers, receding / weak gum: Before retiring for the night gently massage with your fingertip 8-10 drops on the gum, teeth, ulcerated areas and the remaining part of the oral cavity for 2-3 minutes and leave it overnight for best results. Do not drink or eat or wash mouth. The idea is to keep the oil in contact with the gum, teeth, mouth for as long as possible for best benefits. What is the cause of receding gum and sensitive teeth? How does Tarika Gum Oil work? Read below. For advanced stages of painful abscesses, receding gum: Along with the regular night time application as mentioned above apply 4-6 drops at least 3-4 times a day. 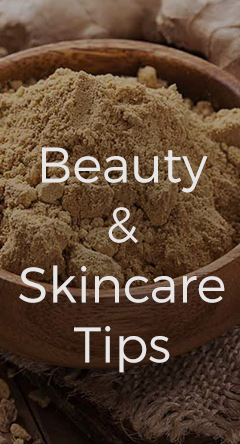 Avoid washing and intake of food and drinks for around 2 hours after application. Loose shaky teeth: Apply 10-12 drops of Tarika Gum oil 2-3 times a day and once at night. 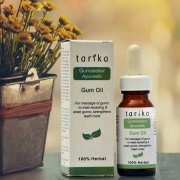 With regular use Tarika Gum oil stimulates the gum to re-tighten around the teeth and helps prevent early tooth fall. In addition add 3-4 drops of Tarika Gum Oil in half a cup of warm water and rinse the mouth after every meal to obtain quicker relief. Use of Tarika Gum Oil post dental surgery helps in faster healing of gums. Regular use of Tarika Gum Oil as a mouth rinse after food and application at night keeps the gum and teeth strong and healthy and prevents oral problems. Gum recession or Receding gums is one of the leading causes of tooth sensitivity. Overly frequent or aggressive tooth brushing, long term gum disease (gingivitis or periodontal disease) and even ageing can contribute to gum recession. As the gums recede, the underlying dentine can gradually become exposed over time. Thousands of microscopic channels run through the dentine towards the centre of the tooth. Once the dentine is exposed, external triggers (such as a cold / hot drink) can stimulate the nerves inside the tooth, resulting in the characteristic short, sharp sensation of tooth sensitivity. Receding gums can be quite alarming. Not only are they painful, they can also lead to pockets, or gaps, between your teeth and gum line, allowing the buildup of harmful bacteria. This can lead to severe damage of supporting tissue and bone structure of your teeth as well as eventual tooth loss. So what causes gums to recede? Periodontal diseases – These are bacterial gum infections that destroy gum tissue and supporting bone that hold your teeth in place. Gum disease is the main cause of gum recession. Due to genes – Some people may be more susceptible to gum disease. In fact, studies show that 30% of the population may be predisposed to gum disease, regardless of how well they care for their teeth. Aggressive tooth brushing – If you brush your teeth too hard or the wrong way, it can cause the enamel on your teeth to wear away and your gums to recede. Insufficient dental care – Inadequate brushing, flossing, and rinsing makes it easy for plaque to turn into calculus (tartar) — a hard substance that builds on and between your teeth. It can lead to gum recession. HEALTHY GUMS ARE ESSENTIAL FOR HEALTHY TEETH. How can Tarika Gum Oil help in keeping gums healthy and treat receding gums and sensitive teeth? 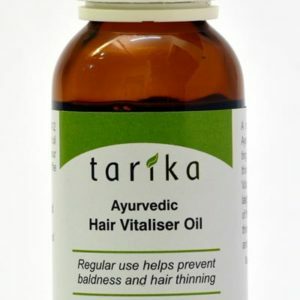 The effectiveness of Tarika Ayurvedic Gum Oil is due to its unique qualities of strengthening and tightening of the gums. Its regular use results in reduction of the pockets and closing of gaps between the teeth and gum line which are caused by receding gums. This Ayurvedic herbal remedy helps heal the gums, makes them healthy and regenerate a firm grip on the teeth – thus strengthening loose shaky teeth from the roots. 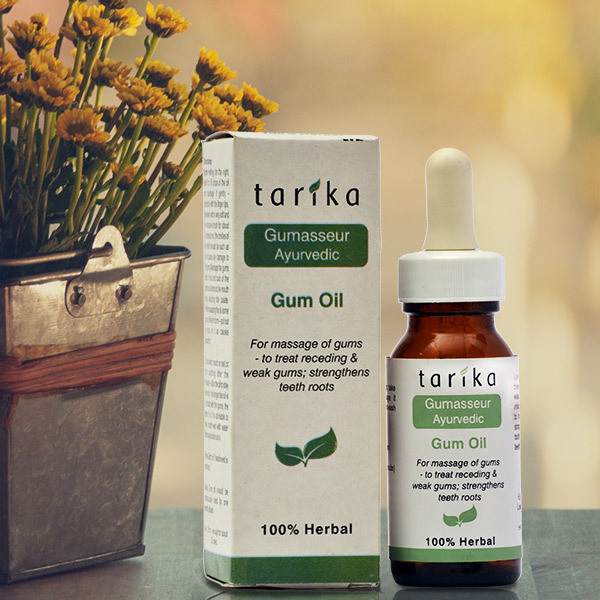 Tarika Gum Oil has strong anti-bacterial properties and has proved to be very effective in fighting tooth infections. Being oil based this special product penetrates deep into the nooks, crannies, crevices & pockets of the teeth, gums & gum lines, and lingers longer to fight bacteria. Tightening and strengthening of the gums and relieving of infections ensure healthy gums and relief from Receding Gums and Sensitive Teeth. The strong anti-bacterial properties of Tarika Gum Oil also help it fight tooth decay and infection which are among the main causes for toothaches. Reduces plaque to eliminate VSC gas formation. Increases natural defense system by inducing salivation. Has a strong anti-bacterial property, very effective in fighting infections. Neutralizes the pathogenic bacteria to reduce receding gum & pocket-formation. Penetrates deeply the nooks, crannies, crevices & pockets of the teeth, gums & gum lines, and lingers longer to fight bacteria. Effective in mouth ulcers, tooth ache, sensitive teeth. Formulated to have Antioxidant, Analgesic, Antibiotic, Antihistamine properties. 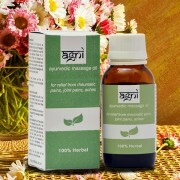 Improves circulation, stimulates nerves and helps in tissue regeneration. I have been using this oil regularly – very efficient – no more bleeding and toothache. I am extremely satisfied with the efficiency of this product. This product worked wonderfully for me. Was suffering from nasty toothache for some reason. Since I believe in herbal healing more than allopathic medicines I went with this product and my faith in this product didn’t disappoint me. Would recommend everyone. Will be back for more.